“25 years ago George built me my first bicycle and since then he has built me many more of different types. All made to measure and exactly as I wanted them. 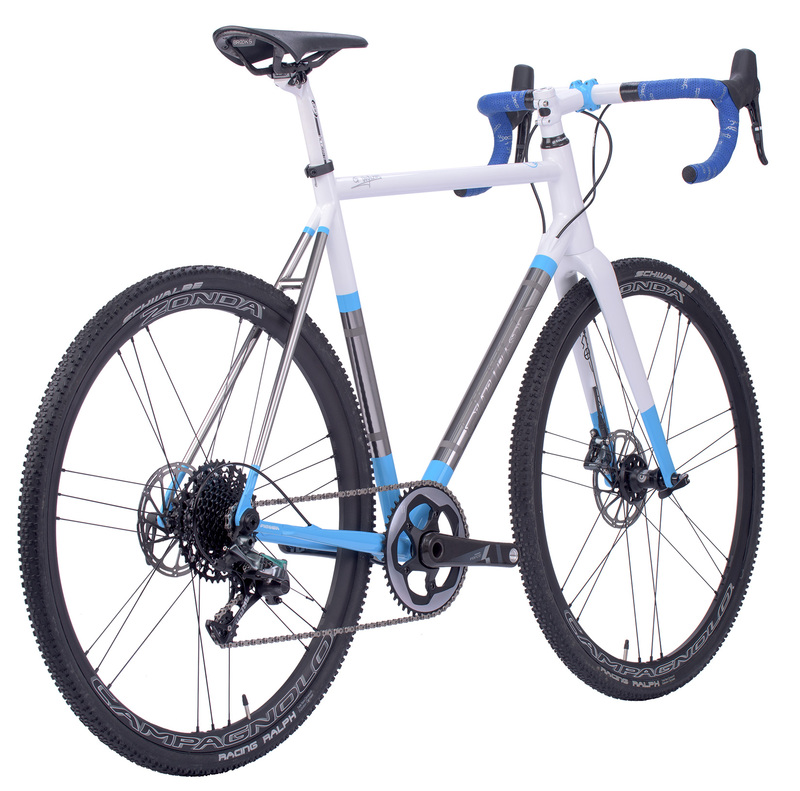 This year I decided to try a Gravel Bicycle built with Columbus XCR stainless steel tubing”. 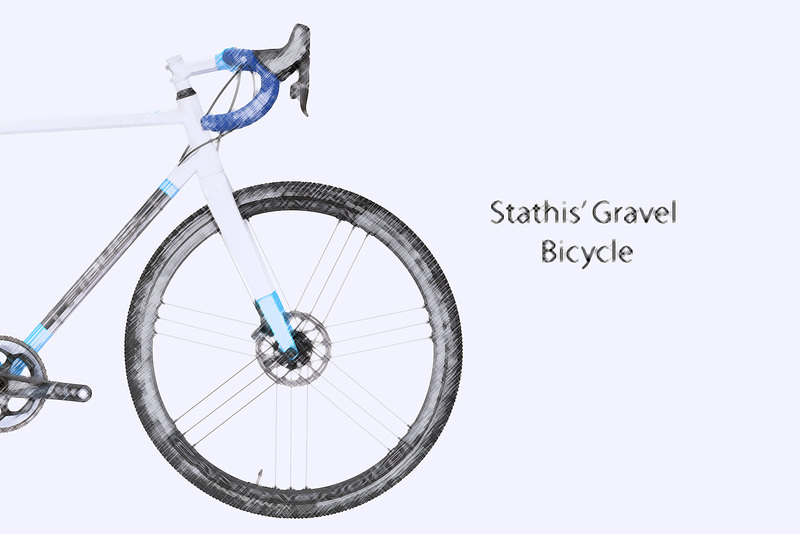 Faithful to the brand and satisfied, Stathis added another great Fidusa bicycle to his collection. 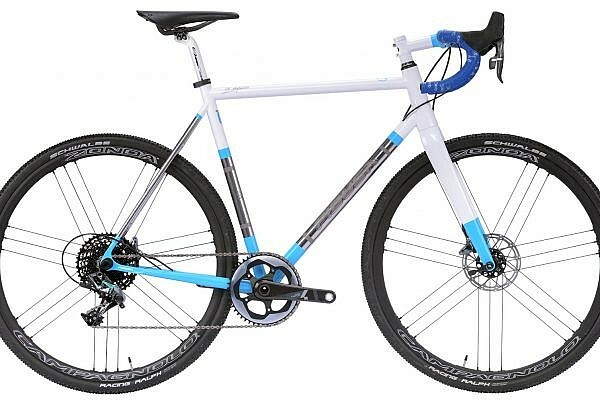 This time a made to measure stainless steel gravel bicycle in Columbus XCR tubing. 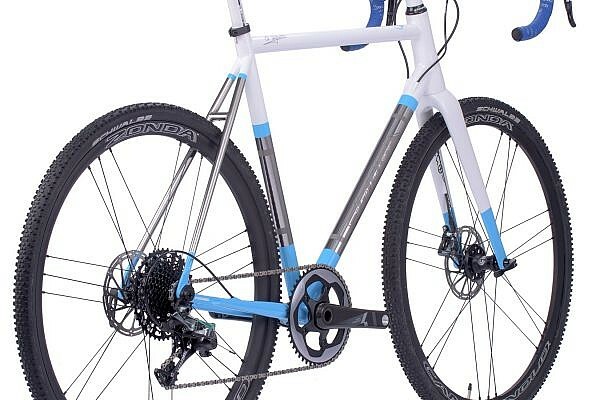 This was our first time of building a gravel bicycle and was quite a challenge, with full internal gear cable and brake hose routing and rear dropouts for 12mm through axle supplied by Paragon Machine Works. 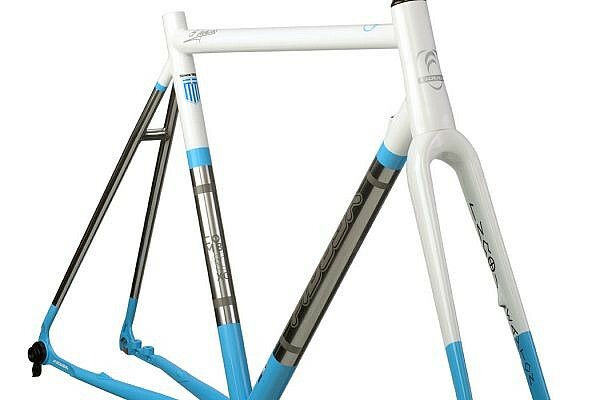 We chose Columbus XCR stainless steel tubing and stainless steel Paragon Machine Works dropouts for the frame and added a full carbon gravel fork with internal brake hose routing and fork ends for a 15mm through-axle. After polishing the frame to a high sheen, we etched the matt logos and graphics by sandblasting. The combination of high-polished stainless steel with white and light blue contrasts completes this particular build. 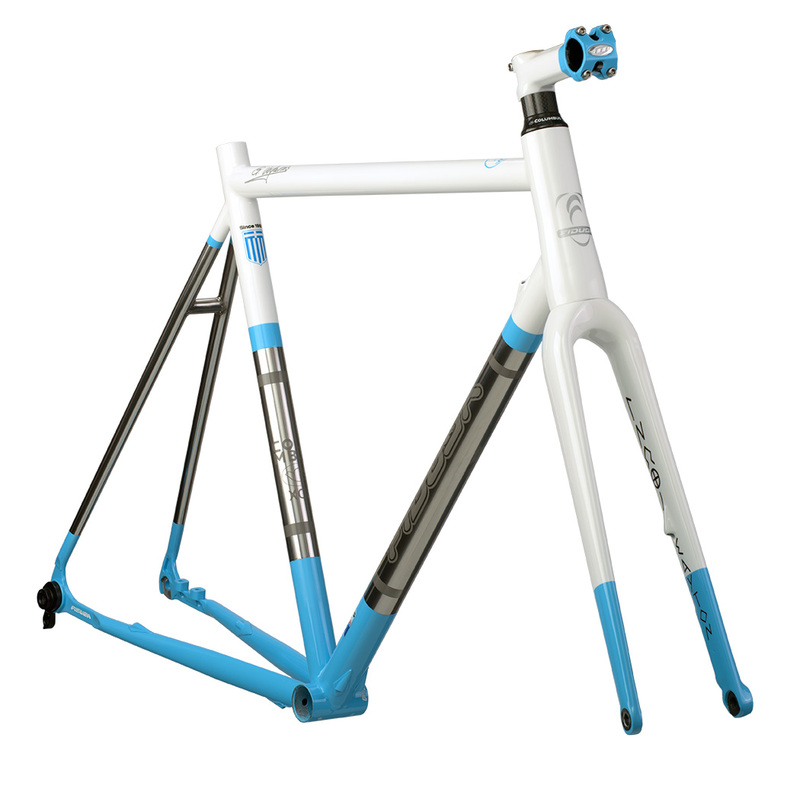 The frame has a more relaxed geometry, greater tyre clearance and a longer wheelbase than a traditional road bike. It also has a higher bottom for greater ground clearance when riding off road and all these elements combine to make a great go-anywhere bike. 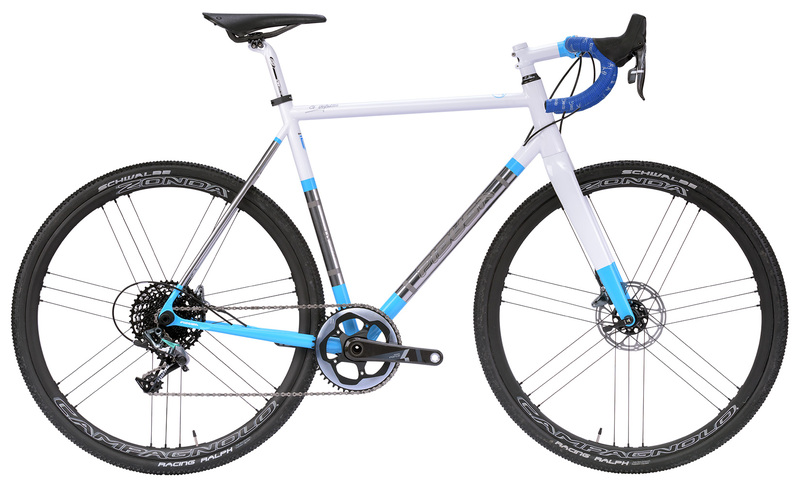 Hydraulic disc brakes provide ample stopping power and the internal routed brake hoses and gear cable make for a clean look. 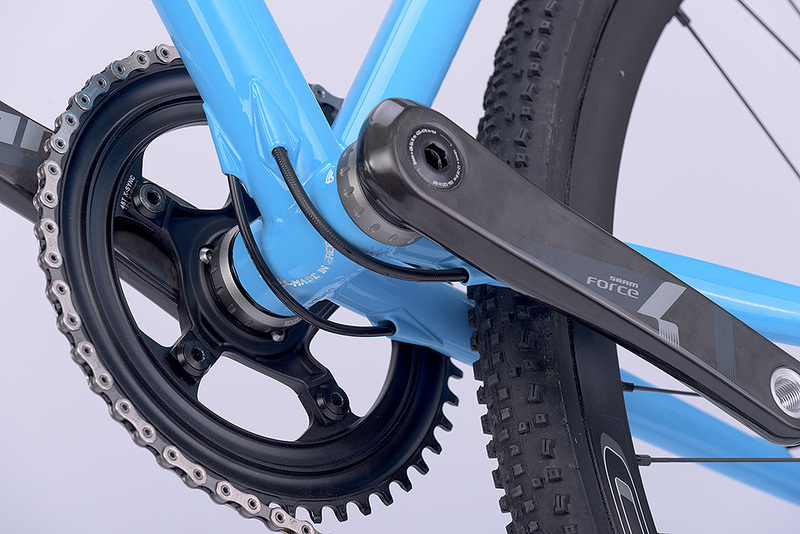 The drive train is SRAM Force 1. A single 48 tooth chainwheel in combination with an 11 speed 11-42 tooth cassette produces a wide range of gear choices.